The school offers an O level course of study for Seniors 1-4, qualifying the young women to go on for professional studies, as well as an A level for Seniors 5-6 which prepares them to sit for the national examinations. The school welcomes young women with all academic capacity who are determined to better their lives and that of their future families. The student body includes refugee girls from south Sudan, Rwanda, orphans from Kenya, Uganda and Tanzania, as well as local village girls. 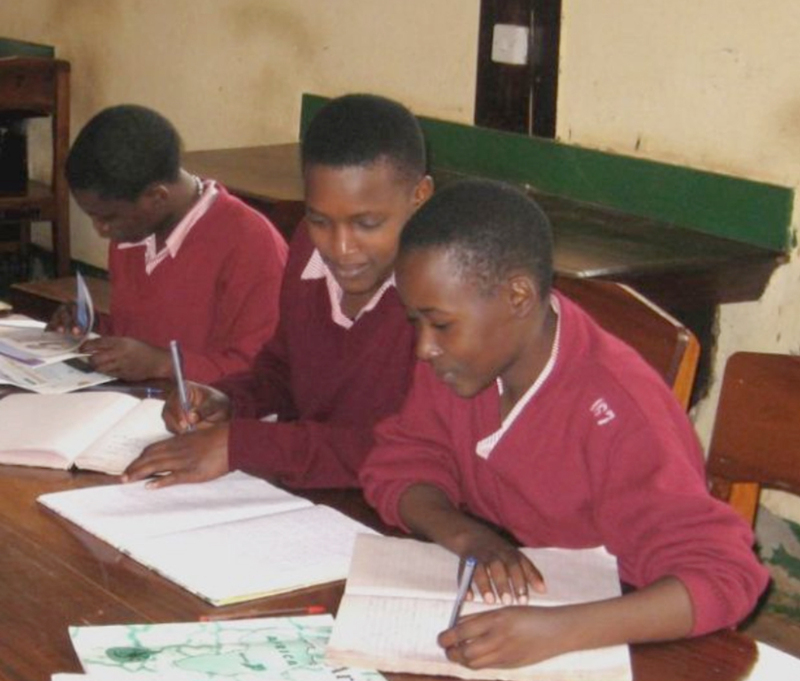 The legal name from the foundation years is Kalungu Girls Training Center (KGTC), but in recent years it is known as St. Charles Lwanga Senior Secondary School for Girls in honor of one of the many courageous Ugandan martyrs. The Menard Foundation has made on-going contributions to the school for the improvement of its aging school compound and renovation of kitchen, library, and roof; purchase of rain water tanks; improvement of the educational programs; and substantial financial aid. About one fourth of the students receive tuition aid. Many of these girls have lost one or both of their parents. Others are from extremely poor and struggling families. Without this assistance they would not be able to attend the school, develop their gifts, and unfold the hopes that nestle deep in their hearts. This Center staffed by the Religious of the Sacred Heart provides classes in practical skills for young women who are not able to receive a formal school education. 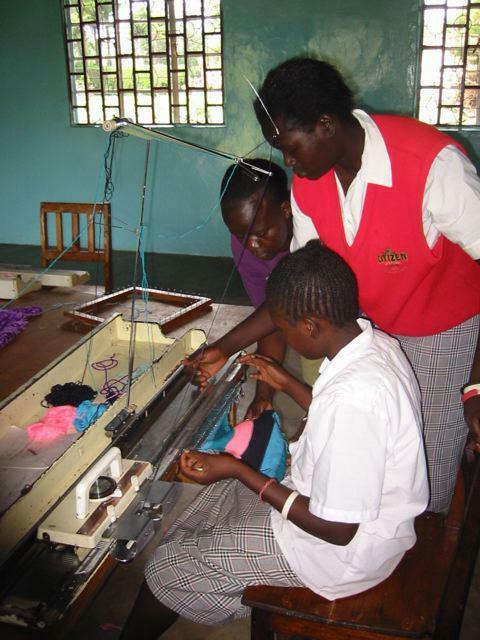 The skills of tailoring, sewing, knitting, embroidery, computer, English, along with Christian education will enable the women to support themselves and families. The Menard Family Foundation gave a start up grant for the initial equipment. 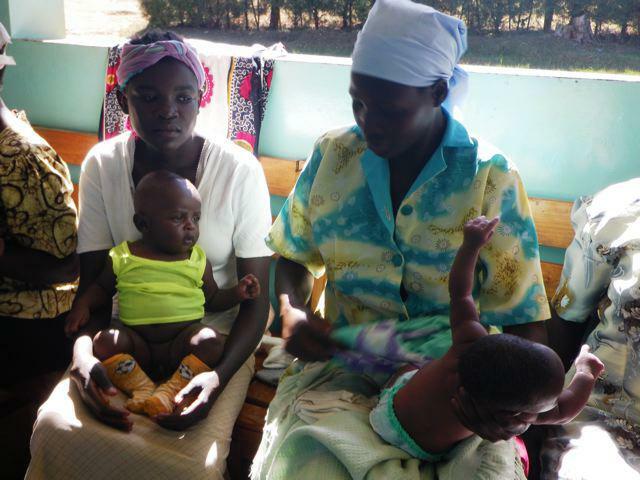 thus enabling the clinic to expand its services. This rural school serves extremely poor children who are thirsty for an education. The school’s lunch program may well be their one meal of the day. The Menard Family Foundation gave a Grant for renovation of the school’s sanitation facility and other school needs, increasing momentum for the improvement and expansion of this school facility. The Sisters were asked to take over its administration in 1998 with 80 students. The school population has grown to 1100. 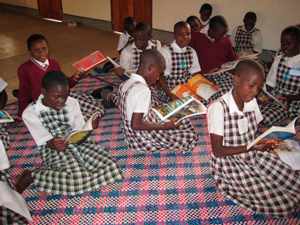 This Catholic Residential School, administered by the Religious of the Sacred Heart, offers a solid A and O level education as well as practical arts curriculum for 425 girls in rural Uganda. 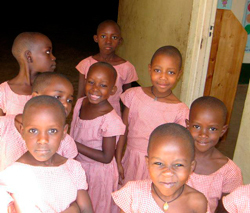 Many students are orphaned, from highly vulnerable local families, with some refugees. Grantee for 7 years. This Parish catholic school, administered by the Religious of the Sacred Heart, is in a very poor rural area out side Jinja Town, Uganda. 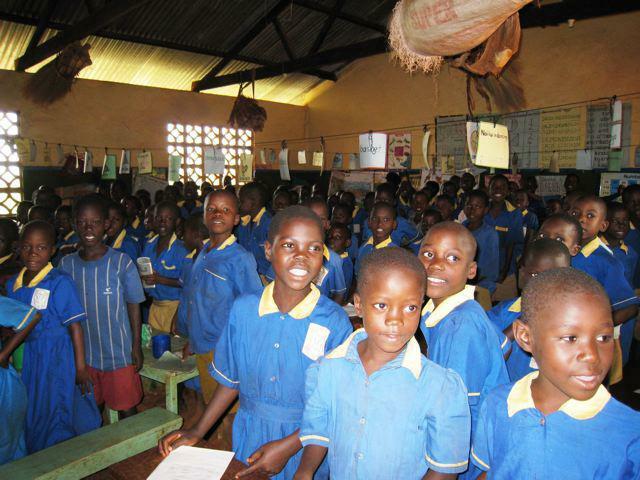 The small school hosts 700 youngsters who are thirsty for an education. Grantee for 1 year.